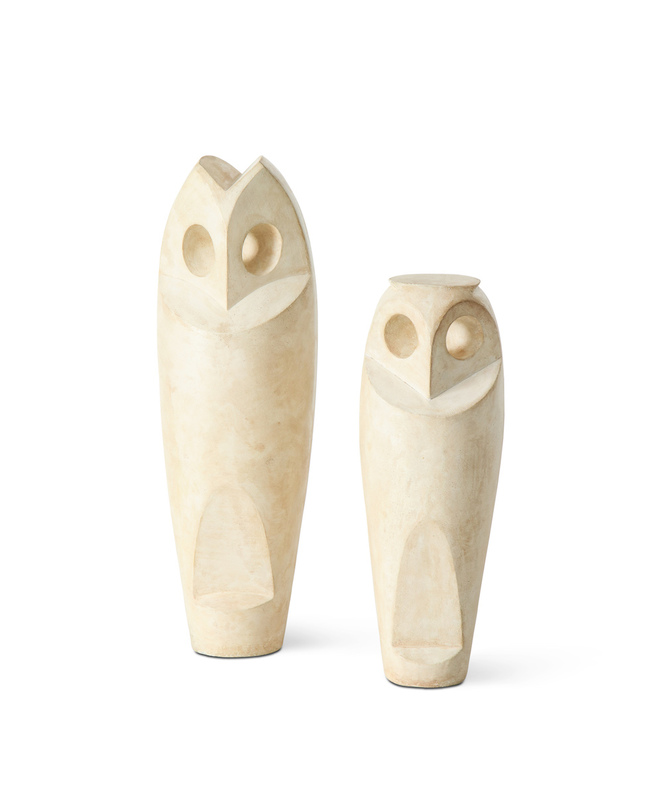 Modernist owl forms of cast stone. 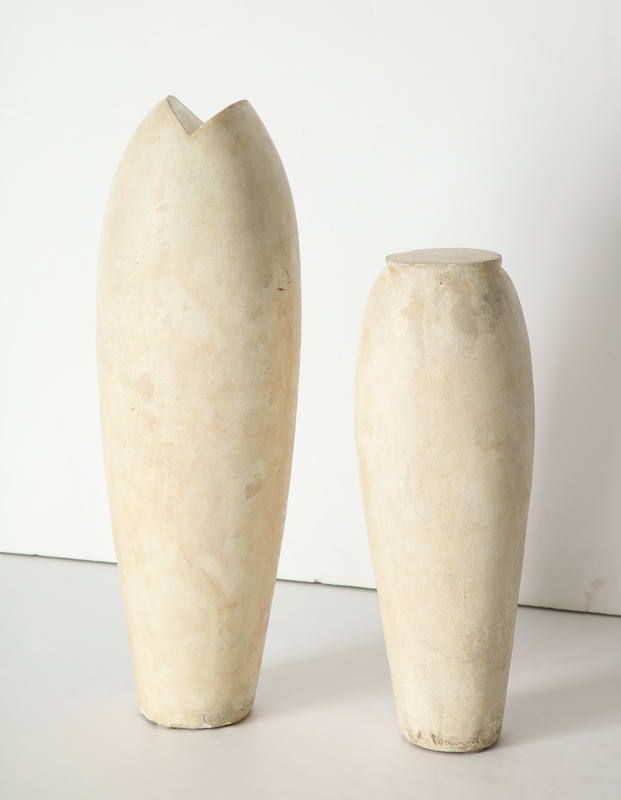 Signed and dated by the artist, with an inscription to the recipient of the sculptures. 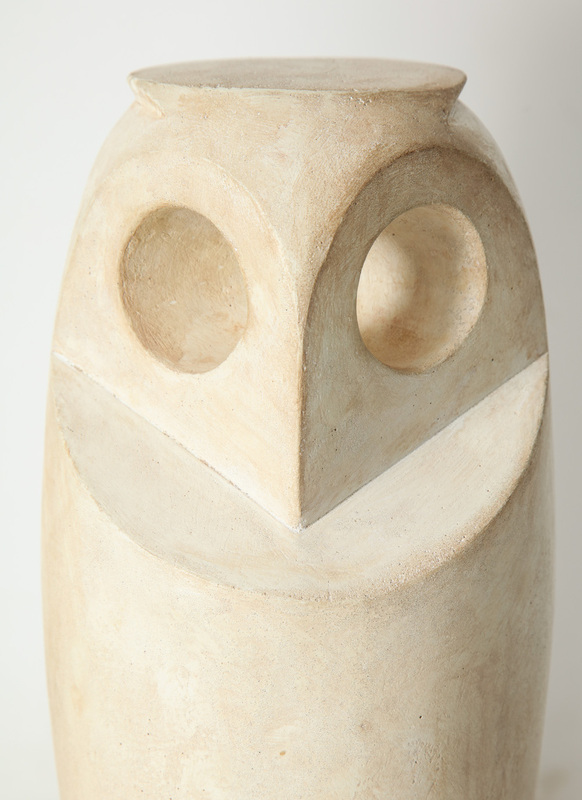 Antonovici is said to have been the closest and most favored student of Constantin Brancusi while he was living and working in Paris. 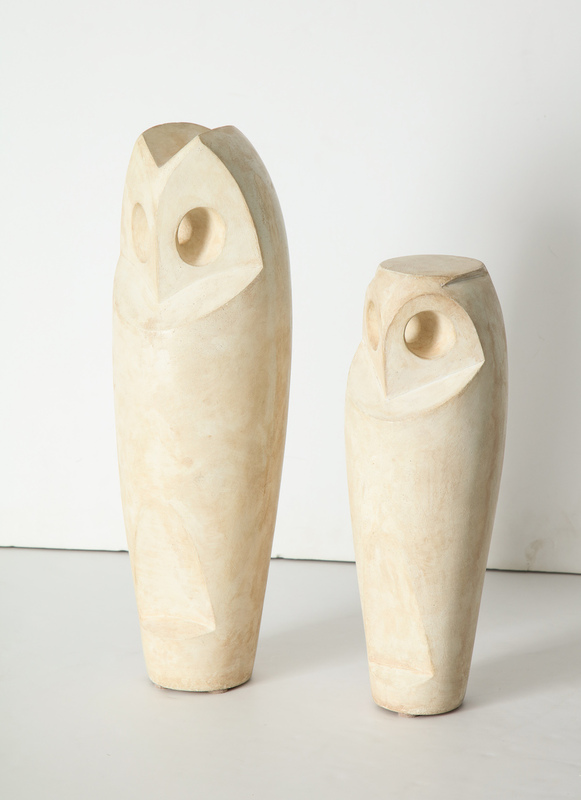 Antonovici came to the US in 1951 and worked here in NYC until his death in 2002. Provenance: Canon Edward West, St. John the Divine Cathedral, New York City. large h. 21.25" diam. 7"
small h. 16.5" diam. 6"
Excellent condition with some natural discoloration to surface.